If you’re looking for the best commercial espresso machine for your office but unable to make a decision because of different brands and styles present in the market. Don’t worry and just be clear with some of the questions and you can make the right choice in minutes. Ask yourself: How many cups of coffee will your machine be producing per day? What type of coffee drinks do you want to offer to your people? The skill level of your staff and of course, how much you can invest in your coffee machine. As soon as, you get answers to these questions, the decision part with become a breeze. 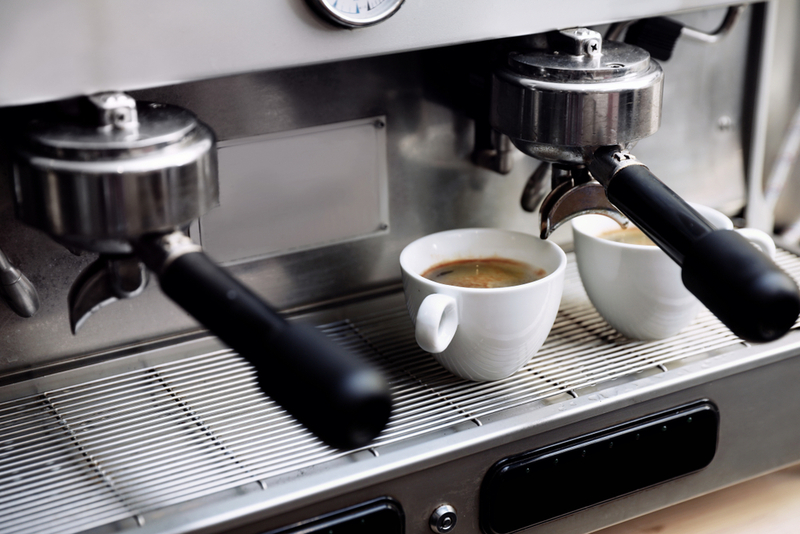 Let’s check out the best commercial espresso machine for professional use. Let’s get started with this capable, compact, and absolutely portable machine that requires no direct plumbing. The machine is semi-automatic and comes with a 1.8L pour-in reservoir and 6.5L boiler, which makes it a perfect fit for a well-trained staff. The machine is able to produce around 150 shots of espresso or cappuccinos every day, thus making it the right pick for the restaurants. This commercial machine is compact and totally portable. It comes with a built-in cup rack. Also, the machine is quite affordable. Needs well-trained staff to mix drinks. The machine is able to produce only 2 types of caffeine. Elektra has referred this machine of theirs as a monster because this beauty is not something that hides under your bed. This shiny and amazing machine can be the star of the show because of its brass knobs and steel frame. Although, the machine falls under the semi-automatic machine category but has 5 automatic dispensing buttons, which are used for different types of caffeine. This commercial machine is compact and has 5 automatic dispensing buttons. It comes with a steam/water tap with pivoting control. Has programmable night function, thus reduces energy consumption. Also, has electronic control of brewing temperature. They are not clear about the machine’s capability; you may need to ask for more information. Talking about the best thing, this commercial machine is the only product that is certified as ergonomic by the European Institute of Psychology and Ergonomics and even by the official espresso machine of the World Barista Championships. This one is really different from the above two and is quite expensive as compared to the previous ones. Also, the machine is completely automatic, thus can be used by anyone. The machine is known for its consistency and quality. It has the 22-boiler capacity. Also, comes with a Soft Infusion System so as to give you perfect extraction every time. Has steam wand cool touch system. Has the ability to fill low or tall cups. The best part is that the machine is easy-to-use. The machine is quite pricey. Needs a Nema L6-30 Twist power receptable. This commercial friend can be your most agreeable buddy that means shows no tantrum while using and has a flexible schedule. The machine is quite pleasant and is generally preferred for small groups. It comes with a 101-ounce reservoir, 17.6-ounce beans and grounds container that is suitable for 25 portions. Also, the Thin Film Transistor makes the machine easy-to-use and get any of the 12 pre-programmable coffee types. This automatic machine comes at an affordable price. Have 8 levels of coffee strength. Comes with 2 brewing temperatures and 3 hot water temperatures. The machine maxes out at 30 cups of strong coffee every day. If you’re actually serious about coffee then this machine can be a perfect fit and especially for those want a machine for their coffee shop or café. This press-forged brass machine is chrome plated and looks really decent when put on display and the built-in cup rack adds to its beauty. A number of users can have access to this semi-automatic machine at one time. This quality product comes with 2 flexible steam jets. Comes with boiler auto-fill system. The machine comes with a water softener, continuous brewing option, and stop button. The water softener should be installed to maintain the warranty.